While water heaters are a key component for home comfort, they don’t last forever. It’s recommended to replace your water heater every 10 years. If you are experiencing some issues with your water heater, the water heater model number and age can help you determine if it’s time for a replacement. Every water heater comes with a Rating Plate. 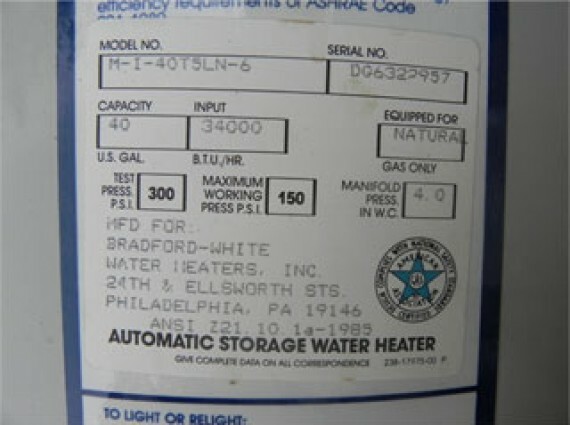 This plate contains important information about the water heater and is important for the safety of the homeowner. 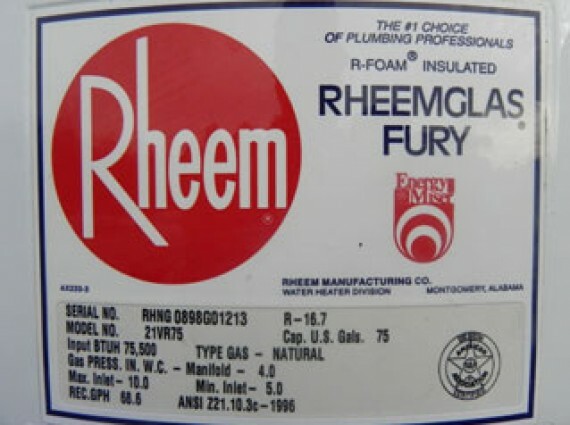 While most of the information listed will be used by a licensed technician, some is useful for the homeowner, including the serial number, which shows the manufactured date – commonly the first four numbers (mmyy); the model number; the Input BTU (gas models only); gallon capacity; and wattage elements (electric models only). 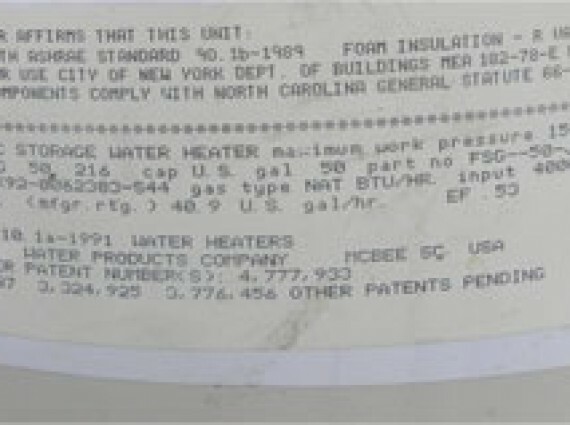 You can determine the water heater age by examining the serial number. Below are a few samples of different manufacturing companies’ Rating Plates to help you to better understand how to decode your water heater’s age. 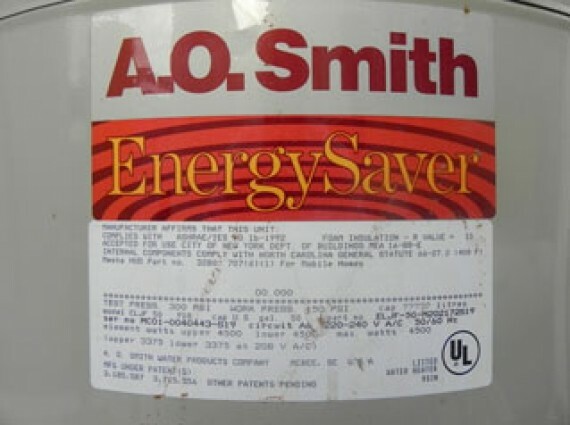 We have provided an example of an AO Smith Water Heater age, Reheem Water Heater age, American Water Heater model numbers and Bradford White serial numbers. This Rating Plate will make finding the age of your water heater a little more difficult.